Villa Las Brisas beachfront – 4 bedrooms for 8 guests. 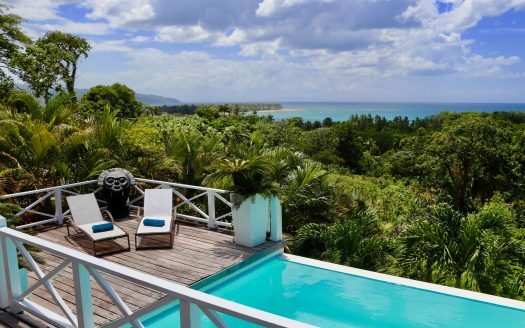 Las Terrenas – Playa Portillo – Esperanza Residence. 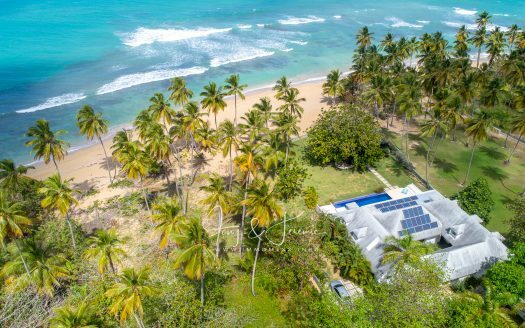 Beachfront villa Las Brisas is located directly at a beautiful white sandy beach at El Portillo, inside the safe gated community Loma Esperanza Residencia. With heli platform and tennis courts. A quiet residential area with nice green zones. This beachfront villa consists of 2 units: the large main unit with the salon, kitchen and dining and the master bedroom on top. The second unit is at the other side of the lap pool. 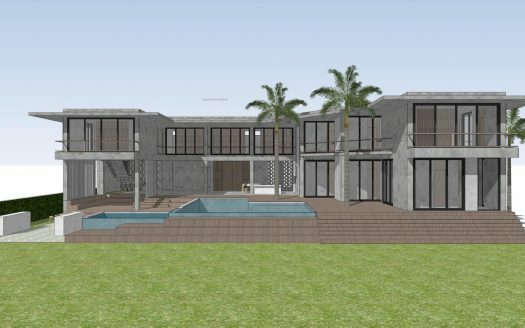 Here you have 3 bedrooms with doors towards the pool and deck area. 2 bedrooms have a shared bathroom. The comfortable salon has a connection with the fully equipped kitchen and the large dining area. And then of course… OUTDOOR living is important and for that the owners created a very nice and comfortable covered outdoor area. Kitchen fully equipped with fridge-freezer, stove with oven, toaster, blender, micro wave, water cooler, dish washer. Of course laundry with washer and dryer. Details: tv with DVD, wifi internet, outdoor bbq, inversor/inverter with 8 batteries and extra generator, ipod/iphone music connection Bose. Daily housecleaning and preparing breakfast from 8,30 – 4pm. ***electricity free use till 150 kwh. Above that 14 pesos per kwh.